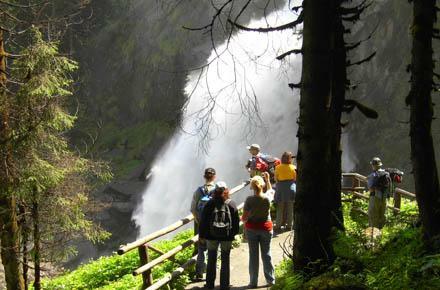 Via a serpentine Waterfall trail with viewing platforms you will get very close to this breathtaking natural spectacle. 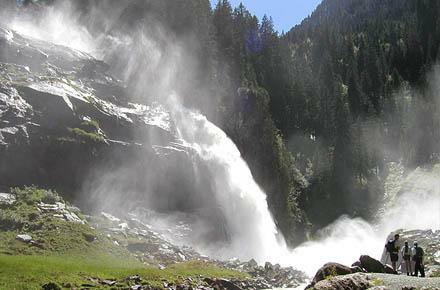 Only 10 to 15 minutes walk are necessary to get from the parking lot to the lowest waterfall (accessible also for disabled persons). 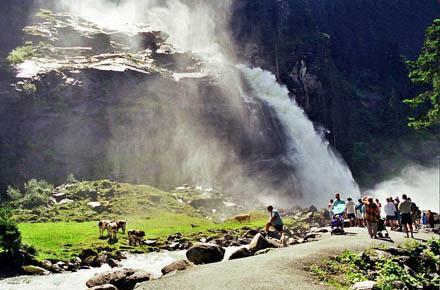 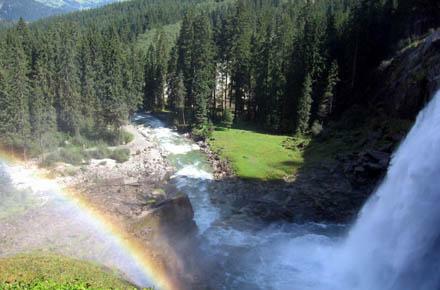 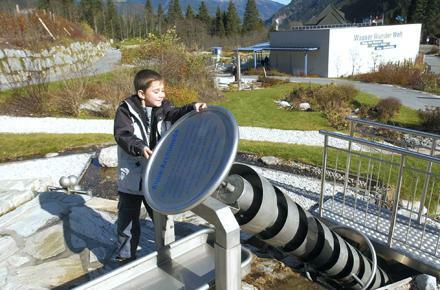 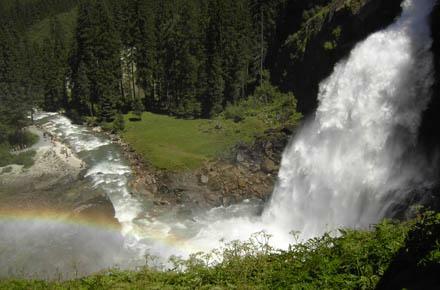 Then for approximately 1 ¼ hours, while going up to the top waterfall and to the peaceful valley of Krimmler Ache, you can marvel at the beauty and grandiosity of this Natural Monument of the Alps.